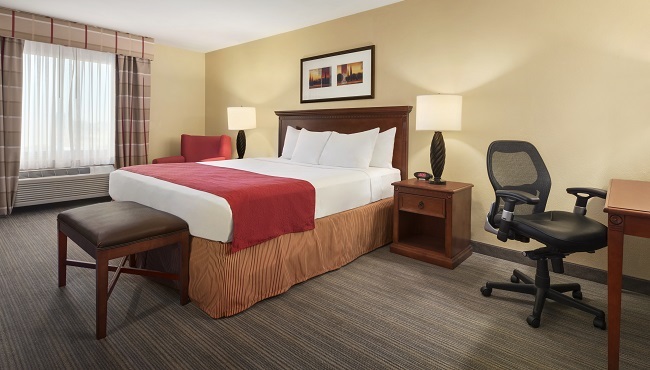 After touring the North Dakota State University campus or attending a Bison game at the FARGODOME, return to your comfortable hotel room or suite at the Country Inn & Suites, Fargo. 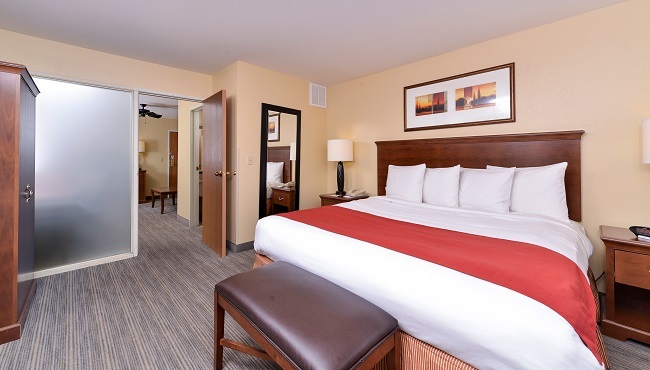 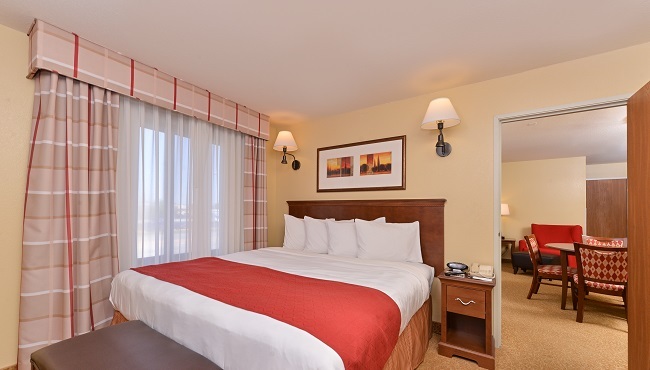 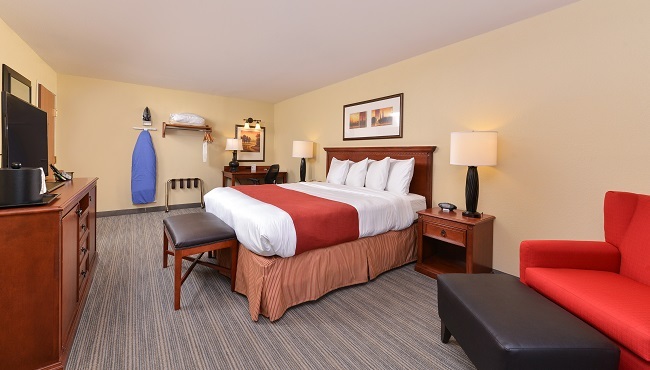 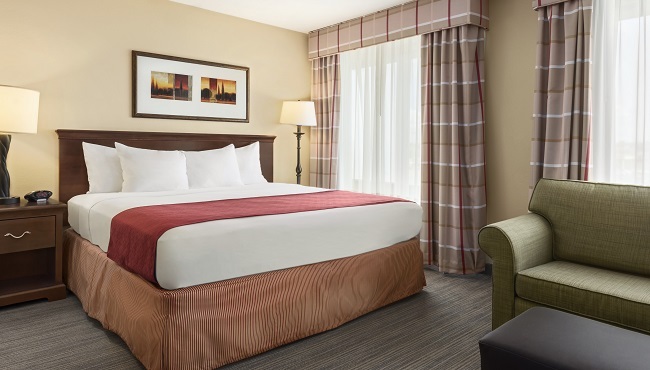 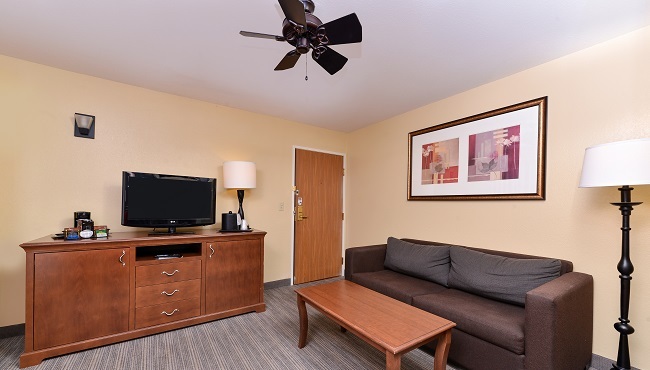 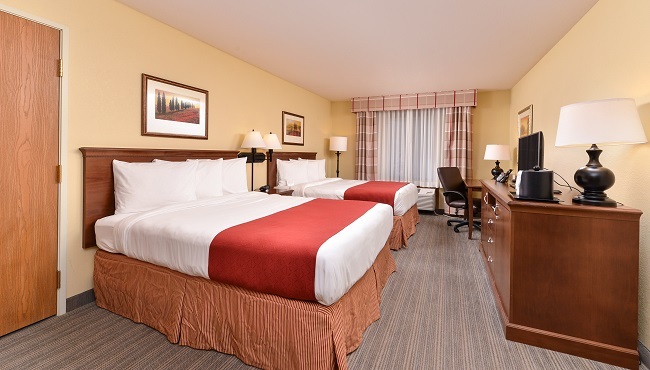 Each of our spacious accommodations is equipped with modern conveniences such as free Wi-Fi and a flat-screen TV with premium channels like HBO and ESPN. 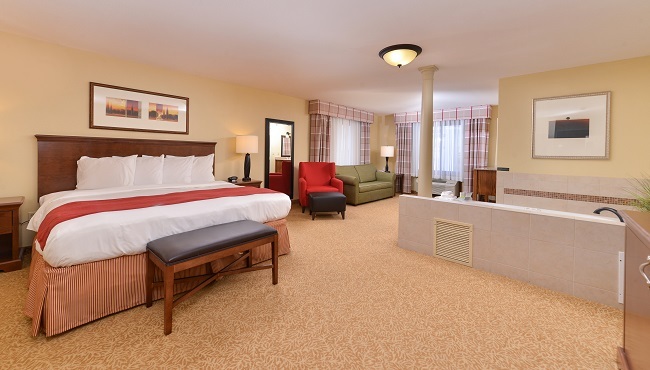 Before bed, you can relax with a hot snack from the microwave or sip on your favorite beverage stored in the refrigerator. 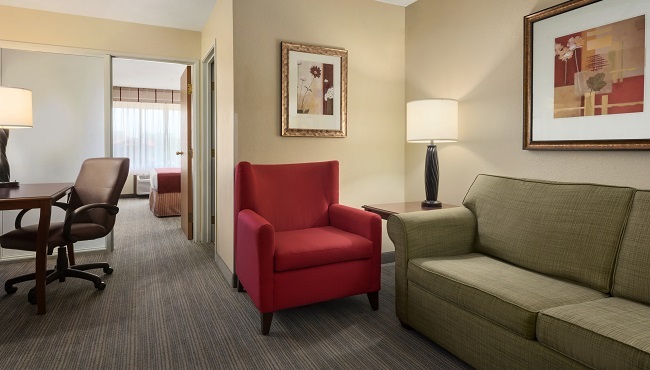 In the morning, take things at a slower pace while snuggling up with your furry friend as a fresh cup of java brews in the coffeemaker. 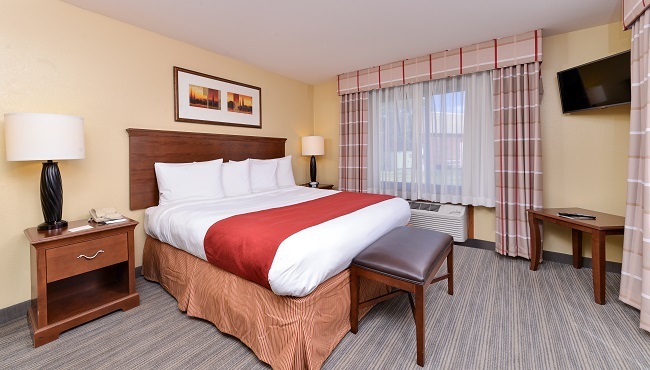 Perfect for single travelers or couples, these spacious accommodations feature all standard amenities plus the choice of one king or two queen beds. 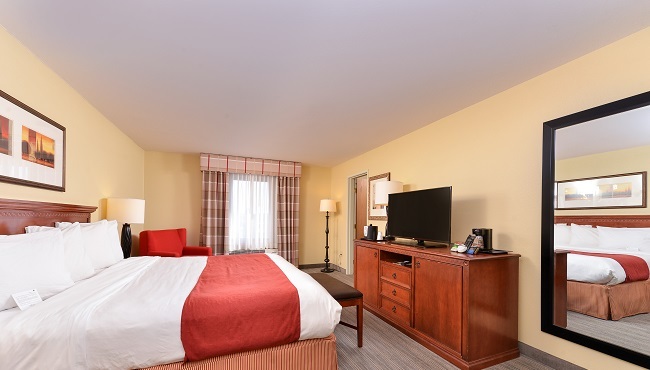 Enjoy all standard amenities while spreading out on the king-size bed or reclining on the sleeper sofa in this spacious suite. 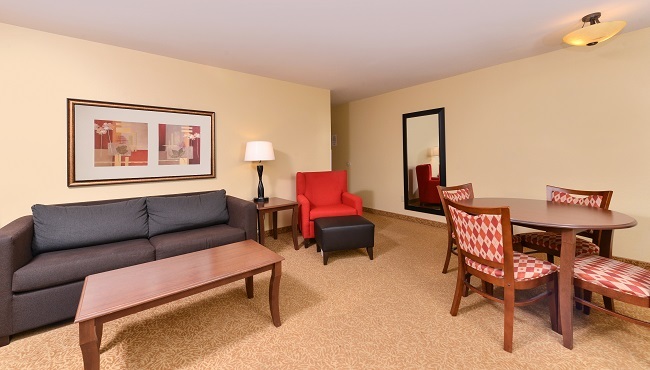 Planning a romantic evening? 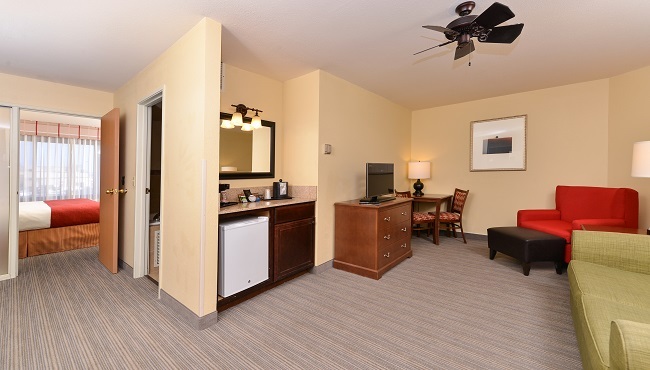 Book this suite, purchase a bottle of bubbly and get ready to relax in the two-person whirlpool. 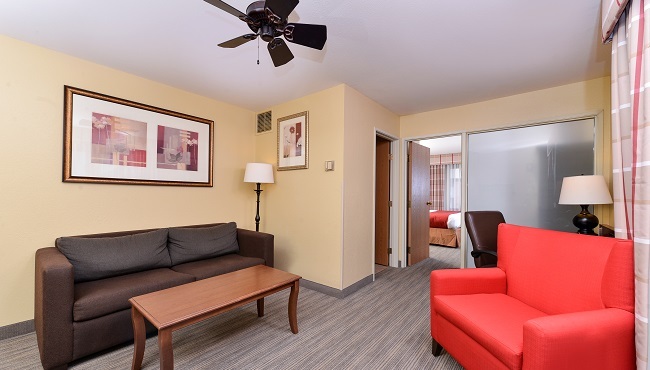 These suites also feature all standard amenities plus a king bed and a sleeper sofa. 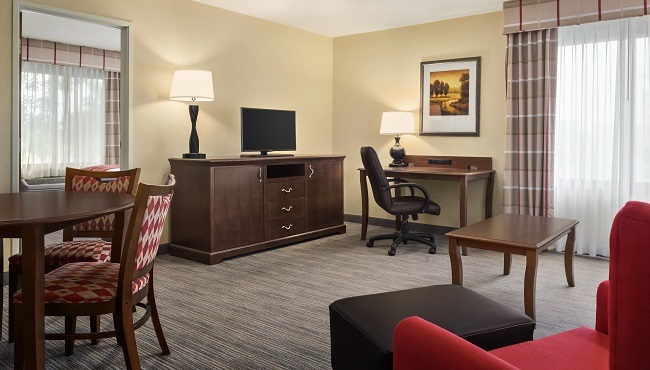 Furnished with the comfort of the modern business traveler in mind, these suites are perfect for catching up on work or vegging out with dinner and a movie in your room. 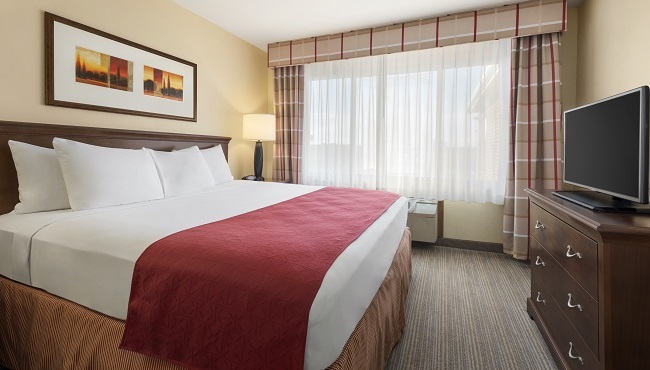 Planning an extended stay in Fargo? 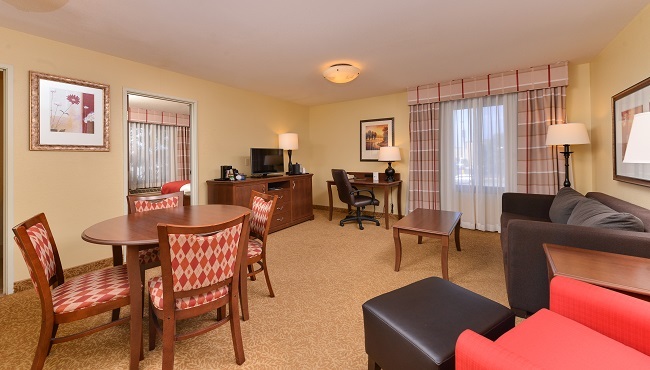 Consider this suite where you can invite friends or colleagues over for dinner at the four-person dining table. 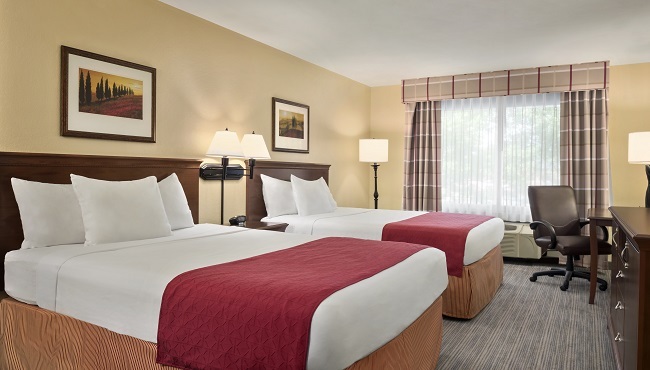 Bringing the whole family to Fargo? 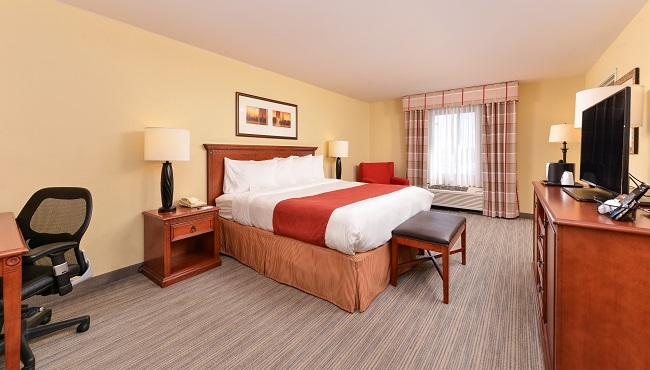 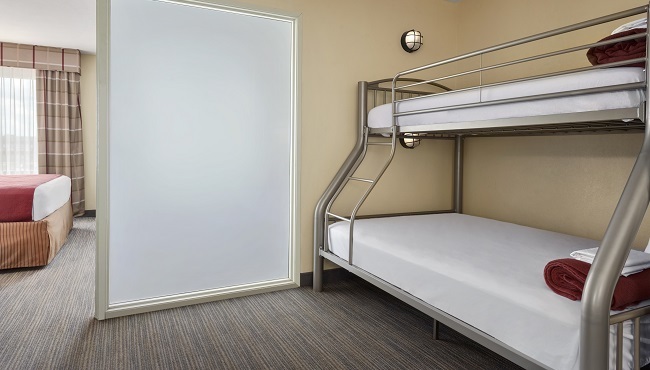 Book one of these spacious suites to take advantage of additional space and family-style sleeping arrangements with a king bed, a sleeper sofa and bunk beds.